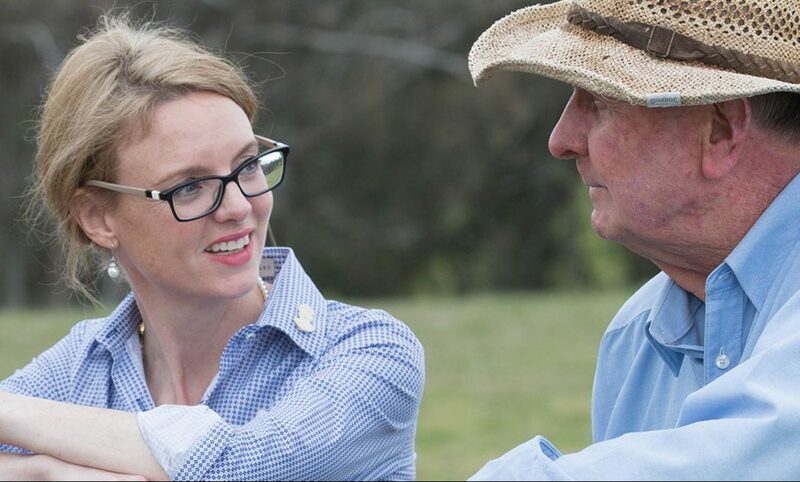 NSW Nationals Member for Cootamundra Steph Cooke has sung the praises of farmers in the Cootamundra electorate on National Agriculture Day for their contributions to the NSW primary industries sector. Cootamundra electorate farmers contributed to the state’s primary industries sector estimated output of $17.5 billion in 2017-18, despite the ongoing drought. Ms Cooke said the current seasonal conditions meant our farmers were facing some challenges, but buoyant market conditions in some areas had lifted profitability for many farmers. Released today as part of National Agriculture Day, the ‘Primary Industries – Performance, Data and Insights’ publication shows the state boasts an abundant and diverse range of primary industries. Some of the strongest results were in cotton production which increased the value of outputs 22 per cent in 2017-18 thanks to improved growing conditions and rising global consumption, wool (up 20 per cent), lamb and mutton (up 15 per cent) and beef, which remained steady despite the adverse seasonal conditions. China, Japan and United States were the largest destinations of primary industries exports from NSW with total export earnings of $5.4 billion. Ms Cooke said that in the 2018-19 Budget the Nationals in Government committed $1 billion to ensure NSW farmers continued to deliver world-class food and fibre products. “This investment will deliver essential programs to increase on-farm productivity, support farmers in drought, safeguard the state’s strong biosecurity status and ensure sustainable fish stocks for recreational and commercial fishers,” Ms Cooke said. The NSW Government’s ‘Primary Industries – Performance, Data and Insights’ is available on the Department of Primary Industries website.